The Warrego Motel in Charleville Queensland is ideally located close to the railway station and bus depot. We are located only a very short walk from the town centre as well as Clubs, hotels and restaurants and a short drive from most tourist attractions. The motel accommodation has a combination of self contained cabins and motel units and offers great value Charleville accommodation that is clean and convenient. Reception is located on Wills Street. 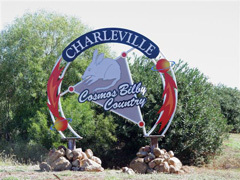 If you are travelling into Charleville from Roma, turn right at the United Service station. Our cabins are very well appointed and all have kitchenettes which give our guests a limited cooking facility. There are varying set ups which include family units, disabled facility, spa unit as well as twin and queen rooms. All rooms have split system air conditioners and Foxtel. Our motel units have recently had a major refurbishment with new bathrooms and the rooms have also being fitted with new split system air conditioners. These units offer a combination of twin share or queen rooms that will suit the budget conscious. They have tea/coffee making facilities and Foxtel. For those guests who want to dine in, home cooked meals are available to guests Monday to Friday and full cooked or continental breakfasts are available seven days per week. For those who prefer to “dine out” there is a selection of restaurants, hotels and clubs within a short distance. If you’re traveling through Roma QLD and need a good place to stay check out Bottle Tree Gardens Motel in Roma.